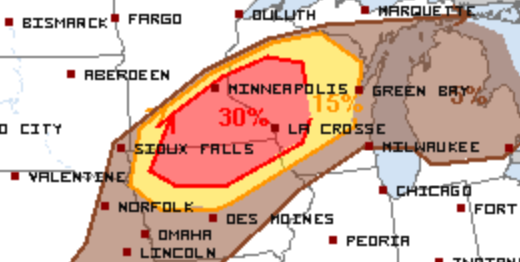 A late season severe weather event is possible this afternoon and evening across parts of the Upper Midwest. 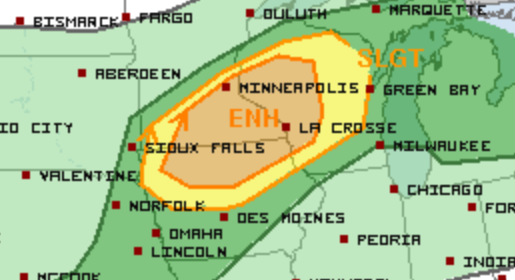 An Enhanced Risk stretches from north central Iowa through southeastern Minnesota and into western Wisconsin. 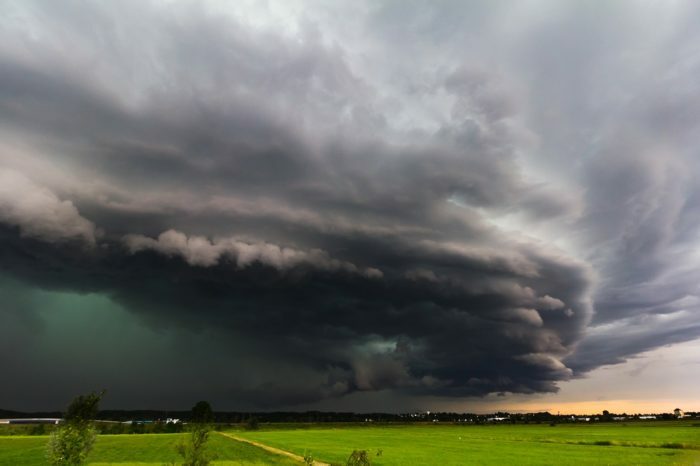 This includes the Twin Cities and La Crosse, WI. Damaging wind gusts will be the primary threat with today’s storms but isolated large hail is also possible. 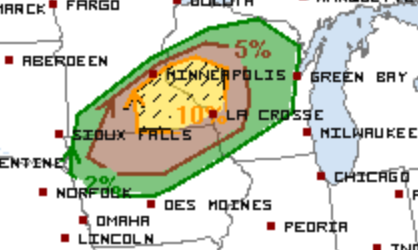 There is also a significant risk of tornadoes in southeastern Minnesota. This includes part of the greater Twin Cities metro area. Follow us on Twitter for updates, including any watches that may be posted later today.